King David encouraged us to “taste and see that the Lord is good” (Psalm 34:8). Our heavenly Father serves up a feast of His truth, grace, peace, and freedom to us in abundance—and invites us to enjoy it! When we discover His goodness and truly “count our blessings,” it changes our entire outlook on life. 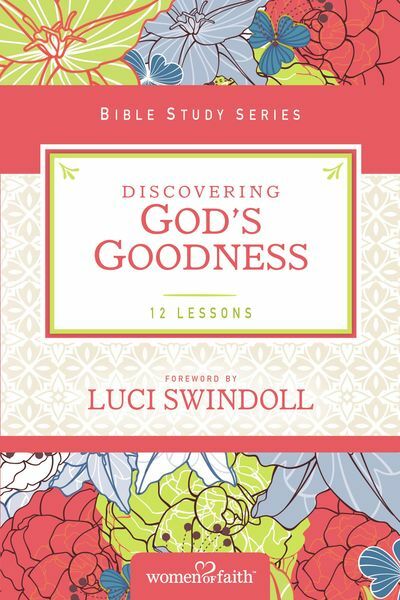 In Discovering God’s Goodness, you will explore what the Bible has to say about God’s grace and what the Lord did to rescue you from the prison of sin. You will uncover how God’s unmerited favor made it possible for you to be forgiven, redeemed, and restored so you could experience eternal life with Him. This is a blessing none of us deserves—but God gives it to us anyway if we accept Him and live our lives for His glory.